I will have to admit it from the beginning, as this is a very important information when talking about Dublin. This city is all about pubs and beer, let’s be honest! So if you’re planning of going to Dublin and you’re not going to enjoy at least a pint of Irish stout, then you’ve come a long way for nothing. Guinness is, of course, the most famous of them all and by all means, it’s a very tasty beer, indeed. They also have a Guinness museum where you can find out all about the way Guinness is produced. But there is more besides Guinness, so just go into a pub and ask for a stout, you will always get a tasty and fresh beer. About the pubs, well, needless to say they are as good as the beers you find inside. Especially if you go a bit outside the center area. Some friends of ours living in Dublin took us to the Bernard Shaw, a really cool place, with cool people and atmosphere, but there’s plenty more in that area. This being said, let’s see what else Dublin has to offer. 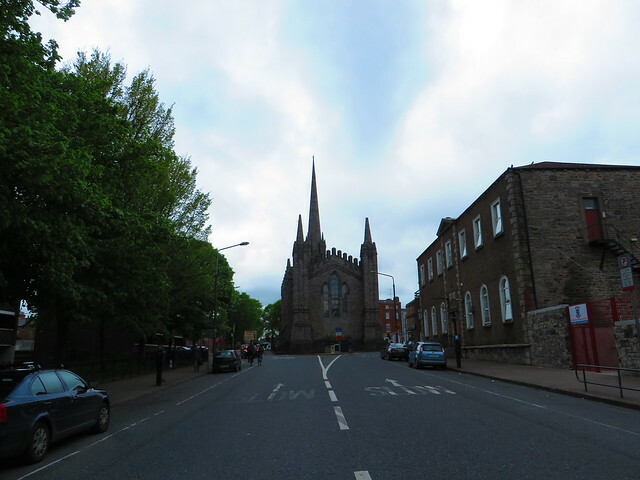 Dublin is not a big city, so 2 – 3 days of visiting is actually more than enough and you can actually walk the whole time, no need for public transportation, if the weather is nice and it’s not raining, like it was the case for our trip. I will admit that we left home imagining a quite British weather, with lots of rain and clouds, but we were lucky enough to have as much sun as we wanted. For a history passionate, Dublin is a good place to start to discover the past of Great Britain and Ireland. Castles, museums, old churches will offer you enough information on what this small island was up to in the past, being busy with battles and wars, with conquering and being conquered. We walked around the city center and not only, just admiring the architecture, the beautiful red brick buildings, the imposing churches and the modern constructions that blend in perfectly. Walking in the Phoenix Park was quite a delight, especially since we had the pleasure of meeting a pack of deer on one of the park’s allies. It seems they are quite famous among the locals. We also visited the Dublinia Museum where we had a taste of the Viking and Medieval Dublin. Very well organized, with lots of information on the history of Dublin and Ireland, the place really caught our interest. For a more morbid experience, you can also have a trip to the Glasnevin Cemetery. The cemetery contains historically notable monuments and the graves of many of Ireland’s most prominent national figures. For the Dublin trip, we used, as usual, Google Maps and pinned on the map all the places we wanted to see (including touristic attractions and places to eat and drink).